The landmark work, tucked away in a little square near the Pantheon, features an elephant carrying the obelisk on its back and was first placed in the Piazza della Minerva in the 17th Century. Gian Lorenzo Bernini oversaw the sculpture of the elephant, which had the tip of its left trunk broken off in the overnight incident. The elephant was commissioned by the then pope, Alexander VII, to support an obelisk from ancient Egypt that had only recently been excavated. 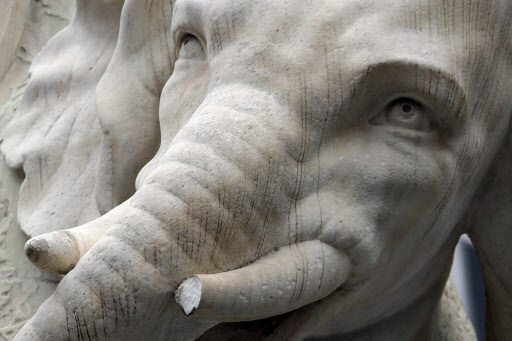 The damage to the Bernini elephant comes after fans of Dutch football club Feyenoord caused outrage in February 2015 by damaging a fountain created by the sculptor that stands at the bottom of Rome’s fabled Spanish Steps.